Genetic and environmental factors contribute to the development of nearsightedness and are considered main causes of myopia. 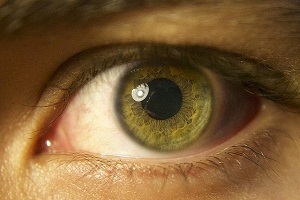 It is believed that myopia is linked to genetics. If one or both parents have myopia it is more likely that the child will be affected or may develop myopia during childhood that may worsen with age. But it is very difficult to predict from the family tree about who will become myopic in the family. 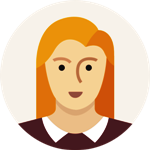 Environmental factors such as stress and pressure such as due to working in dark places may cause increase in the size of pupil and lead to ‘night myopia’. 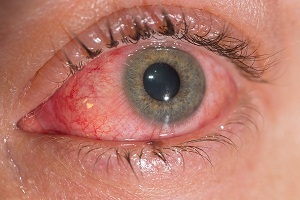 Also, certain tasks which require exposure to laptops and computers for too long time and excessive close works may lead to myopic condition. Who are at Risk of developing myopia? Are you at risk of developing myopia? Myopia is a very common eye disorder and you may develop it at any age. But you are at high risk of developing it early in the childhood if you are associated with certain risk factors which increases the chances of getting myopia. It is seen that myopia runs in families. A child who has his parents having myopia is more likely to develop myopia during his or her childhood. Researchers also found that there are around 40 genes linked to myopia. These genes are responsible for eye structure, development of eye, and signaling between the brain and eyes. Focusing eye on nearby objects for too long time such as reading, writing, watching television, using mobile phones and laptops puts pressure on eyes and strains the eyes and increases the risk of myopia. Outdoor exposure balances the light levels of eyes and avoids shortsightedness. Little outdoor exposure increases the risk of myopia. There are certain health conditions such as diabetes and cataract which may also lead to myopia or increases the risk of myopia. 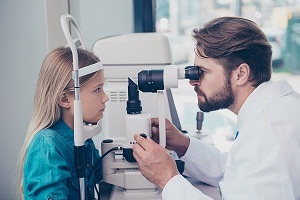 Researchers recently found in a study that using correction glasses and lenses for myopia for too long time also increases risk of myopia and cause progression of myopia. What are the Signs and Symptoms of Nearsightedness or Myopia? Nearsightedness is a commonly occurring eye disorder. 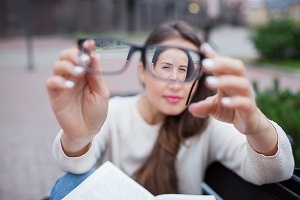 A person is unable to see far away objects clearly or has blurred far vision. A person is said to be myopic if the problems due to blurred vision affects his or her day to day life and makes it difficult to do routine activities such as driving, playing, household chores etc. due to the blurred vision. Myopia progresses with time. It is related to genetic and health condition of a person. A person with a family history of myopia and other health issues like diabetes is more likely to develop myopia. A child with parents having myopia is at risk of developing myopia at the early age between 7 to 12 years. The symptoms of myopia are apparent during childhood between 8 to 12 years of age and worsen rapidly when children grow up during their teenage. Between the ages of 20 to 40, the change or progression is less. 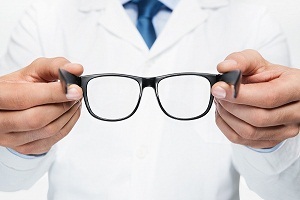 Nearsightedness usually go away with treatment such as using contact lenses and glasses. You experience headache and eye fatigue for one to two weeks till your eyes get adjusted to the glasses or contact lenses. 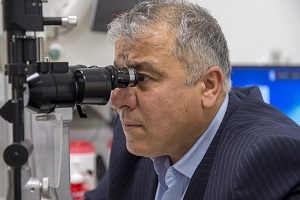 Read more about treatment of myopia. 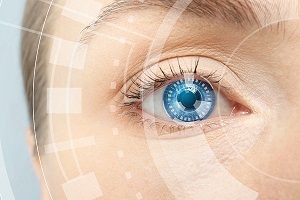 Tips for Living With Glaucoma Can you manage glaucoma? Glaucoma can be managed with proper routine care which may include medication, surgery, and other treatment options. 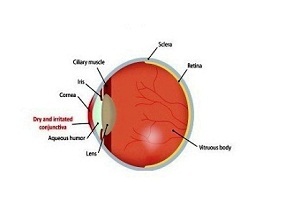 Explore in this article. . . .
Retinal Detachment: Causes, Symptoms, Diagnosis, Treatment What is retinal detachment? 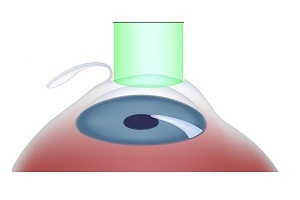 The retina is a thin layer of tissue that lines the back wall of the eye. It is responsible for absorbing light that enters the eye and converting. . . . 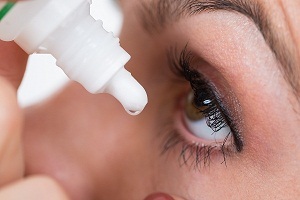 Eye Drops for Dry Eyes (Artificial Tears or Eye Lubricants): How to Relieve Dry Eye Syndrome? Dry eyes are a common eye affliction. This eye condition can be caused by many different reasons. Dry eyes can be part of the aging process or a symptom of another disease. Eye. . . .